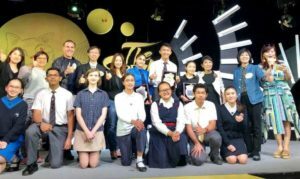 It is an English Public Speaking Contest organized by RTHK which aims to boost students’ confidence in presentation. The final round was held and broadcasted via Facebook on 16 February. S5 student, Sunwar Rai Asmina is one of the top 10 finalists and was awarded the Certificate of Excellence.